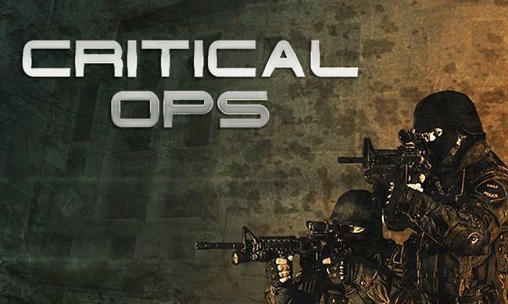 I am hereby starting our all famous series of Toggle Mod for the marvellous first person shooter game Critical OPS. This post consists of a gameplay video of our yet-to-be-released Toggle Mod v1.0 Beta for Critical OPS v0.6.3.5 for Android. Unlimited Ammo - Obvious from it's name, your weapons would have infinite number of ammo. In-Game Commands - Every features can be activated and deactivated by just typing in your chat box. NOTE - Lot of other features, those are not mentioned above are still in development. Haha yes ;). I'll make a poll, so you guys can vote and decide about the existence of some Mini Militia mod features such as ProPack, Unlimited Health, etc. Thank you fullfill my requset your AWESOME. Hi shihab :) when the invisible critical ops came out? Belated Happy Birthday!!! More Birthdays to Come dude! I love your mods, Good job, Keep it up man! Can I suggest new features in mini militia that I want to see in the future? 4. Be invulnerable to guns - Any gun cant damage you. 8. Custom Rank - You can choose your rank in the game. 9. Laser Sight for all weapons - You will have laser sight on every weapon. Even the sniper, Bazooka etc. 11. You can betray teammates - You can hurt your teammates with guns and everything. As if they are your enemies. 14. Suicide option or button - Displays an in game button that when you press it, you suicide! 15. Transparent bush - No more hiding 🙂 Bushes will be transparent. 18. Custom bullet - for example you can customize the bullet of a pistol to be a sniper bullet. The pistol will fire what the sniper fires. Thats what the custom bullet does. 20. (may not be possible) Boot other players even if youre not the host. 1. If you choose to have 4x 5x 6x.... bullets, the range will decrease, can the range be normal? 2. If you choose the dual guns with the unli ammo, the second gun doesnt fire. 3. Not really a bug. Can you separate unli ammo from unli bombs? Can u make the toggle mod 14.1 Available for non-root users too. And thanks for giving critical ops a go..we love you man. Much appreciated!. And yes, mods and hacks destroys the games, but all I do was just for fun. You know, the core part of playing games is having fun, just think of a boring day in-game, suddenly a hacker comes in f*** everything up. It would be hella fun :D.
But I never do anything beyond the limits, like doing illegal hacks or patch such as In-App Purchase hack or anything that relates to real money which any-how affects the game developers. I duly respect the game developers and their efforts put on to building a wonderful platform for us to have fun. Hey, I was wondering when the critical ops mod was coming out? I did the patch as you shown the video, but unfortunately I can't finish the last step, after the patch shows to uninstall it and install it can't be finished. And the toggle mod shows install the application for continue with the app, I tried to install the apk file which has been added to sdcard, it also can't install. It's showing app not installed. Please help me someone. Hello I thank you for this fabulous work but I have a question how to be invisible? PLZ make Mobile Legends Toggle Mod For Non Root Users.